Maple syrup could be interesting – I might try that one! Thanks for the comment. Blackberry curd! Why has that never occurred to me before!? 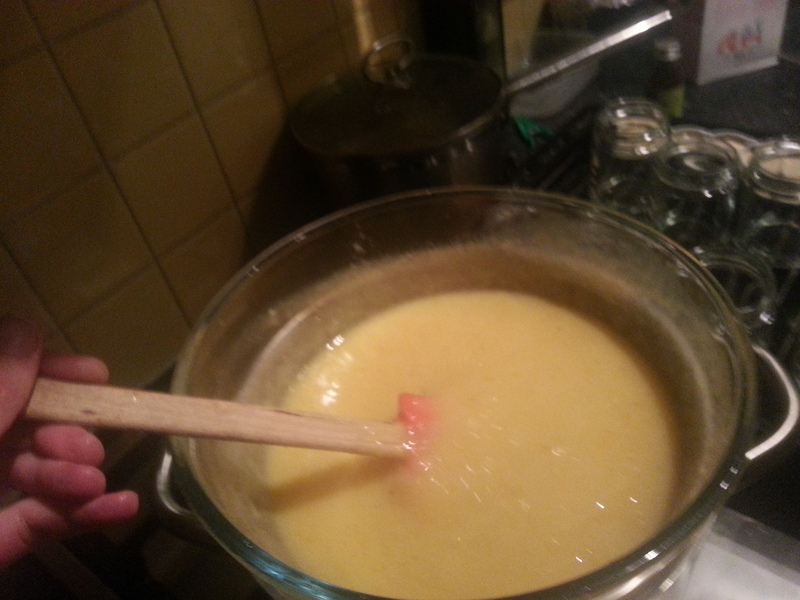 I am going to do lots of experimenting with fruit curds over the next few weeks. I’ll try and blog them. I’ll definitely tweet about them! I have rhubarb in the allotment, so I’ll definitely be giving that a go! Thank you! 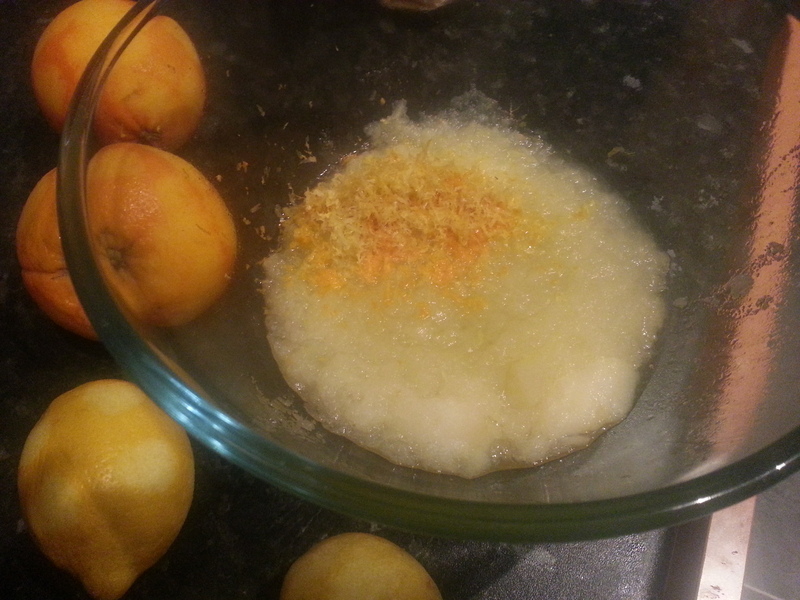 Do you think the granulated sugar could be substituted for brown to give it more of a toffee apple flavour? I reckon that to be a great idea! I’d maybe not substitute all of the white sugar…might be a bit much! Maybe light brown sugar instead of dark then? 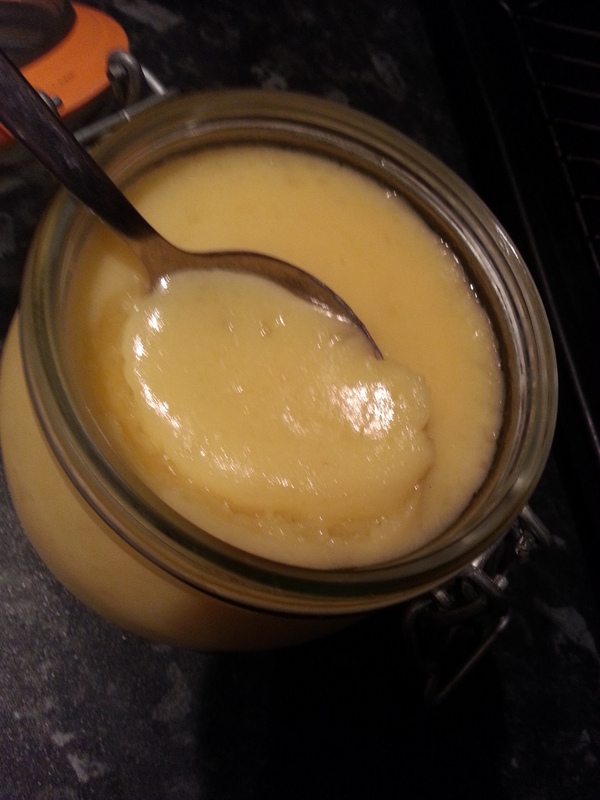 I’m trying to recreate the amazing apple curd made by English Heritage and I reckon this might be the closest recipe. Going to experiment over the weekend.